This is a picture taken at Hamilton Museum of football medals awarded by the scottish football association (SFA). Hamilton museum is a relatively small local museum which plays host to temporary exhibits and this was one dedicated to football (soccer). 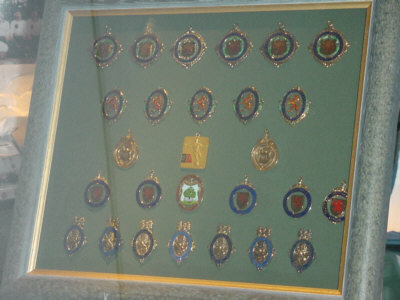 The picture shows old football medals which had been awarded in scotland.